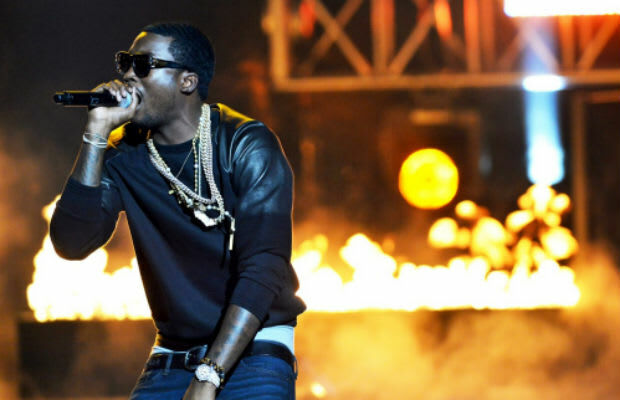 Meek Mill's rap style is frequently praised for its dexterity and athletic energy. If any artist's rap style could be compared to a basketball player's, it's Meek's. There's a propulsiveness that no doubt came from years of practice and repetition, the flawless execution of highly trained muscle memory. When most people talk about "lyrical," this is what they mean: evident dexterity and technical prowess. But that dry technical expertise is useless without purpose. Many rappers rely on style, charisma or cool. Meek is not one of those rappers. His rapping builds upon a searing sincerity, one he expresses by rapping with anxious, alarmed energy. His verses are raw, an exposed nerve; when he raps, it cuts through. This style isn't what makes Meek a "lyrical" rapper; it's what allows him to be one. A tense bundle of contradictions, Meek's music is at once an uninhibited scream and the epitome of absolute control. Because despite the density and musicality of the way his words are put together, he's always to the point, and literal. Wordplay and imagery are almost beside the point, and if he has punchlines, they're brutal, not funny.